London-based production company Hillbilly Television has optioned rights for Someone Like Me, the new novel by M. R. Carey, author of the million-copy bestselling The Girl With All the Gifts. Hillbilly Television was co-founded by Polly Leys and Kate Norrish, whose collective credits include The Full Monty and Second Coming, starring Idris Elba. Leys and Norrish commented “We’re absolutely delighted to have the opportunity to adapt Someone Like Me for television. Mike’s reputation precedes him both as a novelist and screenwriter and it’s an exciting prospect to be working with him on this. Someone Like Me is a surprising and compelling story that will appeal to Mike’s existing fanbase as well as introducing more fans to his incredible work”. Over the past two years, Hillbilly has produced prestigious TV drama series for both UK and international broadcasters. Stand-out titles include ITV’s tense thriller The Level, whose all-star cast includes Phillip Glenister, Karla Crome and Laura Haddock; Debbie Tucker Green’s acclaimed Random for Channel 4, whose slew of awards include a BAFTA for Best Single Drama; and new comedy drama Loaded, co-produced by Keshet UK for Channel 4 and AMC, which has now been acquired by Netflix. The deal was negotiated by Meg Davis at the Ki Agency Ltd, London. 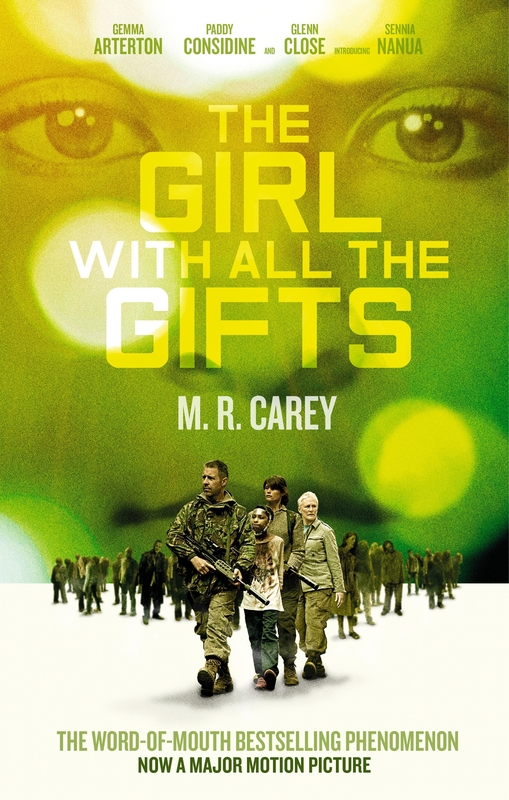 Four years ago we published THE GIRL WITH ALL THE GIFTS (UK|US|ANZ) by M. R. Carey. 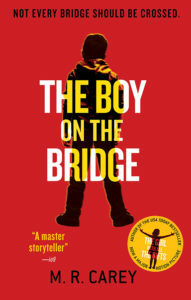 It became one of the most beloved and bestselling books of recent years, going on to sell over a million copies and becoming a BAFTA Award-nominated film. 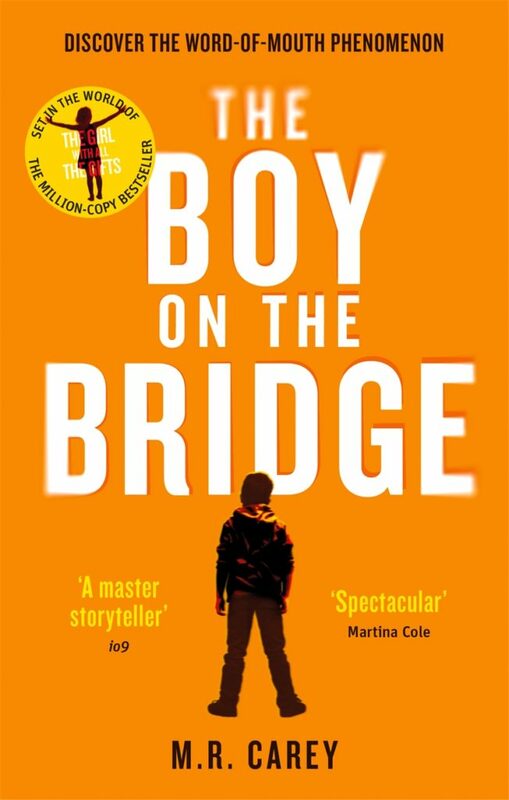 We’re delighted to let you know that the paperback edition of THE BOY ON THE BRIDGE (UK|US|ANZ) – the novel which returns to the world of THE GIRL WITH ALL THE GIFTS – is out now in paperback around the world. We’re very excited to reveal the cover for a new standalone novel coming from M. R. Carey, author of the million-copy bestselling THE GIRL WITH ALL THE GIFTS (UK|US|ANZ). 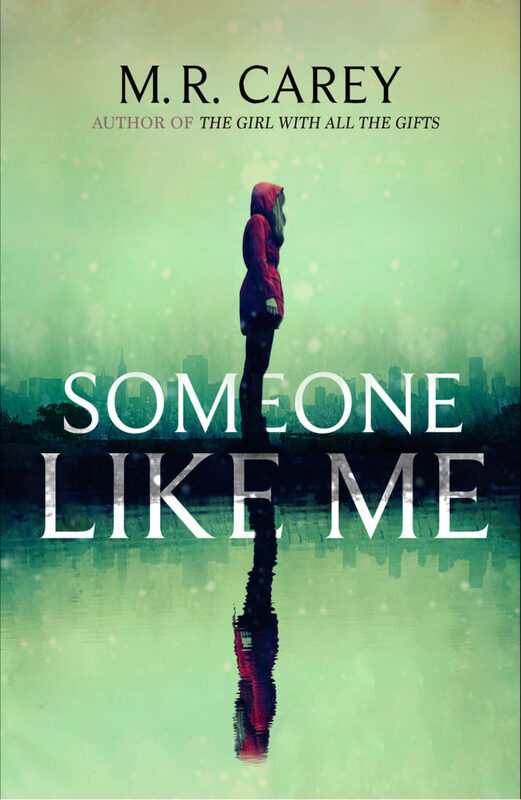 It’s called SOMEONE LIKE ME and it’s a heart-stopping high-concept thriller with a gripping supernatural twist . . .
SHE LOOKS LIKE ME. SHE SOUNDS LIKE ME. AND NOW SHE’S TRYING TO TAKE MY PLACE . . .
Liz Kendall wouldn’t hurt a fly. She’s a gentle woman devoted to bringing up her kids in a loving home, no matter how hard times get. But there’s another side to Liz, one that’s dark and malicious. 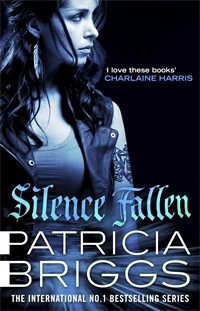 A version of her that will do anything to get her way – no matter how extreme or violent. 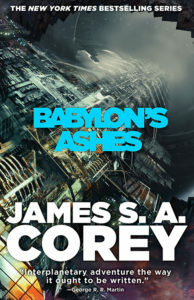 This book is unlike anything you will have read before . 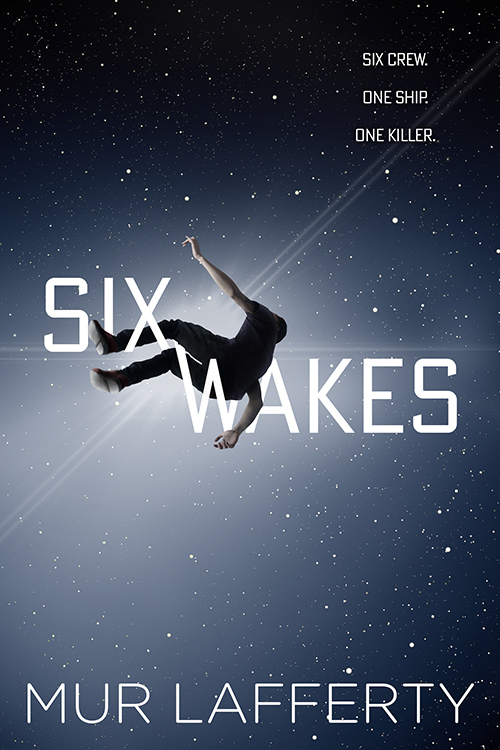 . . imagine Stephen King meets Gone Girl, but with that added touch of M. R. Carey genius and originality! Trust us – you won’t want to miss this. It’s due to be published in late 2018. 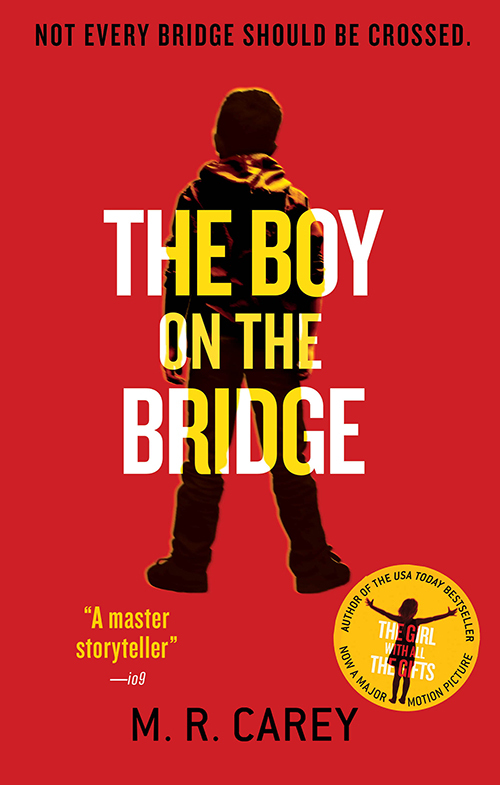 And don’t forget – THE BOY ON THE BRIDGE (UK|US|ANZ), the new novel set in the world of THE GIRL WITH ALL THE GIFTS releases in paperback next week! We’re excited to announce that three Orbit titles are in the FINAL round of the 2017 Goodreads Choice Awards! 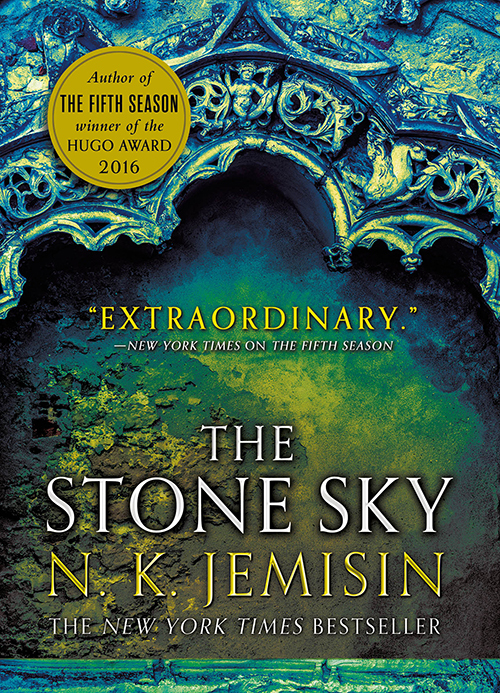 Want to see your favorite Orbit authors and books win the awards this year? Cast your vote! Voting for the final round ends November 27. We’re excited to announce that all of the Orbit titles moved to the second round of nominations for the 2017 Goodreads Choice Awards—including a new write-in! 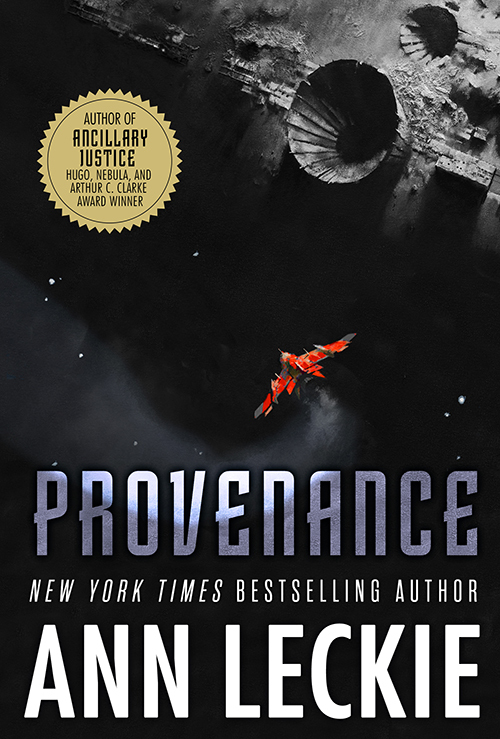 Want to see your favorite Orbit authors and books make it to the final round? Cast your vote! Voting for the semifinal round ends November 12. **SIX WAKES by Mur Lafferty (US) ** — New write-in! If your favorite Orbit title of 2017 isn’t listed, you can also enter a write-in vote at the bottom of each genre page. Voting for the 2017 Goodreads Choice Awards is now under way. 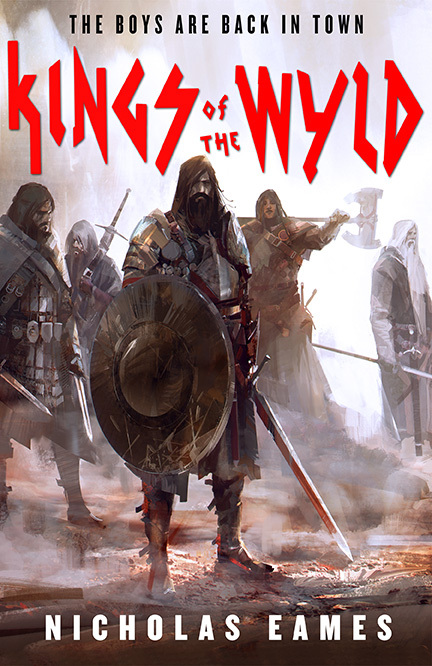 We’re proud to announce that seven Orbit titles are in the first round of nominations! 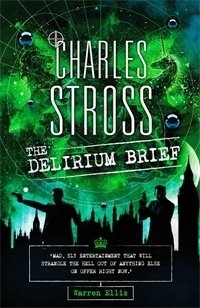 Want to see your favorite Orbit authors and books make it to the second round? Cast your vote! Voting for opening round ends November 5. THE GIRL WITH ALL THE GIFTS Film Award Nominations! 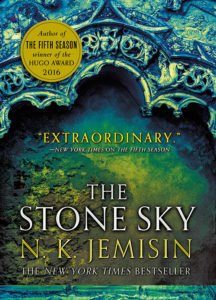 Mike Carey has been nominated in the Outstanding Debut category alongside the producer, Camille Gatin. Gemma Arterton has picked up nominations for both the Best Actress and Best Supporting Actress awards (no, we’re not sure how that works either) and THE GIRL WITH ALL THE GIFTS has been nominated for Best Action Film. The readers of Empire magazine have nominated THE GIRL WITH ALL THE GIFTS for Best British Film and Sennia Nanua is shortlisted in the Best Female Newcomer category. 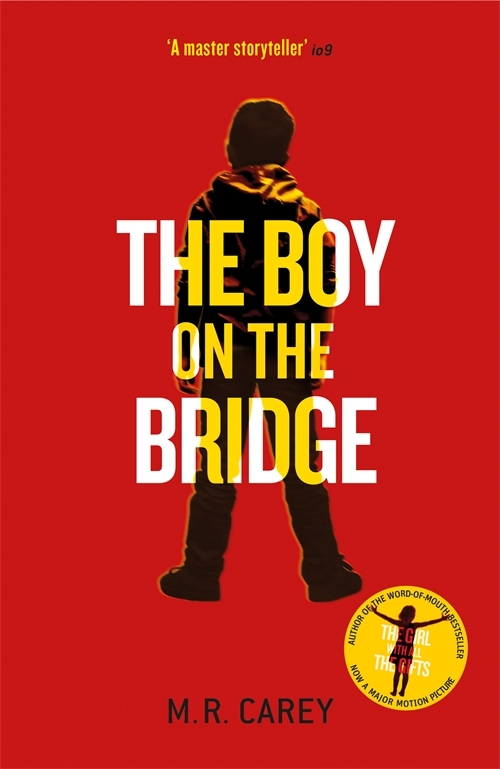 For another taste of Carey’s breathtaking storytelling check out his new novel, THE BOY ON THE BRIDGE (UK|US|AUS), in which he returns to the world of THE GIRL WITH ALL THE GIFTS. It will be hitting shops in May and is available for preorder now. 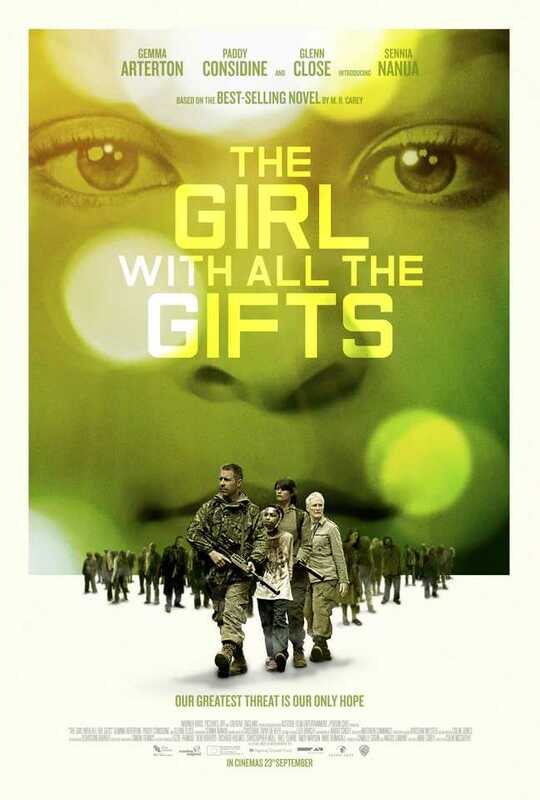 THE GIRL WITH ALL THE GIFTS Movie: See the Poster and Trailer! You can now watch the movie trailer for M. R. Carey’s THE GIRL WITH ALL THE GIFTS! Directed by Colm McCarthy (Sherlock, Peaky Blinders and Doctor Who), starring Glenn Close, Gemma Arterton and Paddy Considine, and introducing Sennia Nanua, the film is a major release for Warner Bros and due to come out in the UK on September 23rd. THE GIRL WITH ALL THE GIFTS was a word-of-mouth bestseller with over half a million readers worldwide. 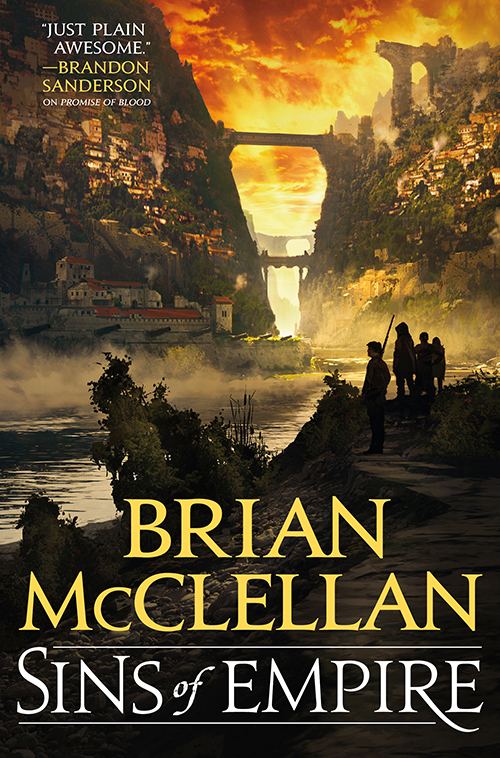 We’re beyond excited to see characters such as Melanie and Miss Justineau brought to life on the big screen – eagle-eyed fans might spot the author himself in there among the zombie hordes too. Click here for everything you need to know about THE GIRL WITH ALL THE GIFTS movie release. M. R. Carey upcoming UK tour dates! To celebrate the upcoming release of his new novel FELLSIDE (UK | US | ANZ), M. R. Carey will be appearing at a number of book events across the UK over the next 2 weeks. 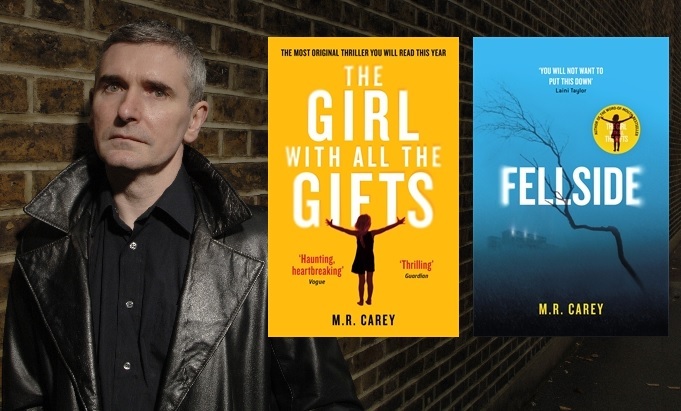 M. R. Carey is also the author of the word-of-mouth bestseller THE GIRL WITH ALL THE GIFTS (UK | US | ANZ), which is soon to be released as a major motion picture starring Glenn Close, Gemma Arterton and Paddy Considine. See the dates below for the chance to meet one of the most exciting voices in modern fiction! 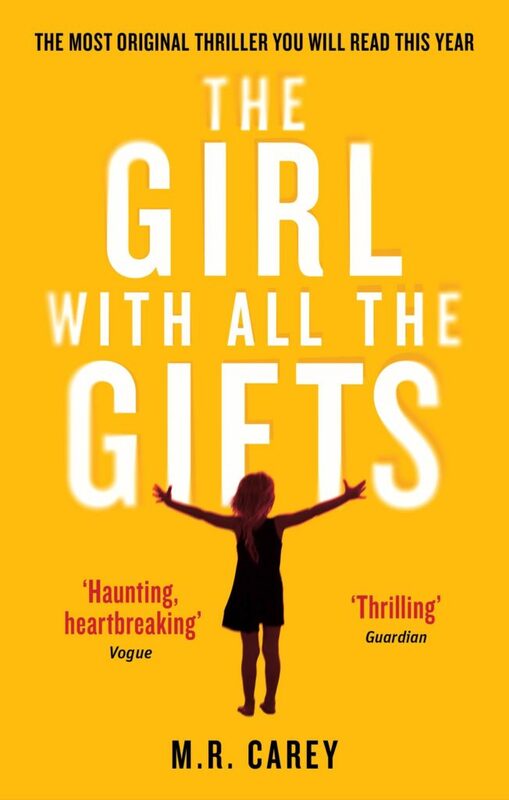 Orbit is very pleased to reveal the cover for the haunting and heartbreaking new thriller from M. R. Carey, author of the word-of-mouth bestseller THE GIRL WITH ALL THE GIFTS (UK | US | ANZ). 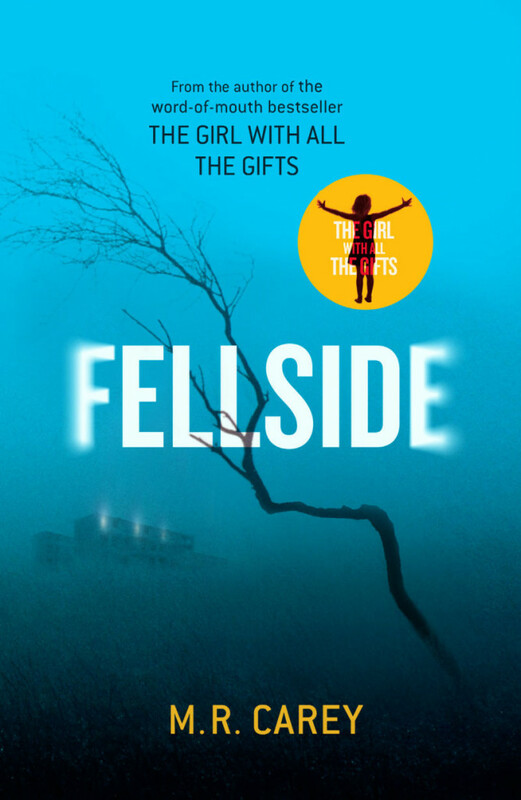 FELLSIDE will be released worldwide in hardback, ebook and audiobook in April 2016.